Announcement Computer problems! I'm sorry, but my home computer is acting up and that means that it will likely take a few additional days for orders to be processed. My apologies for this (in advance) shipping fast has always been my chief goal (well, along with making wonderful products!). I'm working on the issue, but it may not get fixed until this upcoming weekend. Please let me know if you have any questions. I promise I'll get everything out as quickly as possible. I can get online, as you can see, but the label files and more are stored on that computer. You asked...I delivered! My concentrated Refresher oils are now available in convenient 1oz bottles! Now you can refresh your aroma beads, extend the life of your favorite wax melt or even safely 'burn' the oil (see "how to" in each Refresh oil listing) to fill your world with wonderful aromas! Don't see your favorite scent? I'm adding some every day, so no fear. But if you need to know 'when' just drop me a note! Please note that these oils are for home fragrance ONLY. Handmade quality since 2001! From highly scented wax melts, candles & sachets, to gentle soaps, ultra moisturizing lotion bars, lip balm & more. New perfumes have recently been added. AND, I've reduced my 'per product' shipping cost (even though the Post Office recently raised their rates) all to giving you more...for less. If it isn't good enough for my family, I won't sell it to yours...trust my quality and my amazing feedback. Questions about a product that wasn't answered in the listing? Please drop me a note! Computer problems! I'm sorry, but my home computer is acting up and that means that it will likely take a few additional days for orders to be processed. My apologies for this (in advance) shipping fast has always been my chief goal (well, along with making wonderful products!). I'm working on the issue, but it may not get fixed until this upcoming weekend. Please let me know if you have any questions. I promise I'll get everything out as quickly as possible. I can get online, as you can see, but the label files and more are stored on that computer. i've been using dragons blood incense for YEARS and wanted to try the wax melt of the same scent but couldn't find it at any store near me. these wax melts smell bomb a, are strong enough to smell throughout my apartent and they came pretty quickly too ! Repeat customer here! I'm so in love with the lemongrass sachet beads I bought earlier that I had to come back for some refresher oil so I can continue to have this gorgeous scent in my car! Thanks so much for offering this oil and for the lightening fast shipping! I'm such a happy customer and can't wait to place another order. Gorgeous scent and very strong! One nugget at a time was actually plenty in my case. Fast shipping. Excellent seller. Thank you! Gorgeous scent and also very strong! This was the scent I was originally looking for that brought me to this shop, and I love it. One nugget at a time was actually plenty in my case. Fast shipping. Excellent seller. Thank you! Gorgeous scent and also very strong! One nugget at a time was actually plenty in my case. Fast shipping. Excellent seller, too. Thank you! Here is a pile of lip balm with the brand new labels! Now they look every bit as wonderful as they make your lips feel! All home fragrance products getting new black & white labels! Here's Hippie Chic (a top seller) in new packaging. Cool! New labels! After 7 years with my posy design I've changed to a new take on damask. All products getting new labels. An old product done a new way. My super popular Simple Indulgence soap got a makeover this year. A new square shape! I've told this story before, but since not specifically here...well here it is...I used to own a gift store. It was a dream and I made it come true, at least for a time. When I went to the Dallas Market to find some cool stuff to sell in it, I ran into some issues. So many items were poorly made. Out of questionable ingredients. And I finally thought that maybe I should learn how to do it, myself. It wasn't easy. My first foray into candles ended up with a small (fortunately) fire in my kitchen and stains everywhere. So the candles were banished to the garage for good. But I kept at it. I bought more wax, different wicks and experimented with jars at the local dollar store (disaster but that's part of the process). I kept at it until I was satisfied, and brought my candles to my store about 8 months after pouring that very first one. And I sold everything the first weekend. Everyone raved at how good they smelled. And then, a few days/weeks later, they came back to buy more. Saying that nothing smelled as good, burned as well or made them as happy. I began getting requests for other products. And, by now, I was utterly addicted. So I researched soap and began to make it. I played with ingredients and developed my lip balm and lotion bar recipes (that I still use today). By 2004, I had more than 250 products for sale (if you count various scents) and I kept on. 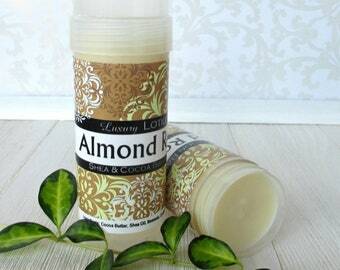 Adding perfume, aroma bead sachets, bottled lotion and more. My daughter often complains that I'm 'impossible' to buy for. Because, unlike her friends, she can't go to that mall shop and get me something that smells nice. Cause she knows I read those dang labels and will lecture her, at the drop of a soap bubble, on what is wrong with all of them. My store closed at the end of 2006 due to the economic downturn that wasn't very kind to small, one woman' shops. A few years later, I heard about Etsy and opened my first shop. That shop, Good Scents Bath Company™ was open about a year (and nearly 200 sales) when I decided to rebrand. Back then, since you couldn't change your business name, I had to start fresh, completely losing the momentum I'd developed. It took time to get stuff moving. But I finally did. I'm happy to say that business is just great. And customers not only come, but they come back. I hope you'll become one, too. I always say that if my products aren't good enough for my family, then they aren't good enough for yours. I'm really not interested in having my products in every shop in the land. I'd settle (dreaming now) for another shop of my own. But until then, and if then, I'll be happily making the best that I can. Hope you decide to try some. I know you'll be thrilled. Fabulous is a process...and it never ends. My products can also be found at a few wonderful shops in the US. Have one? Interested in my products? Please let me know. Not every product is available for wholesale purchase, but most are...so let me know what you're interested to stock and we'll go from there! 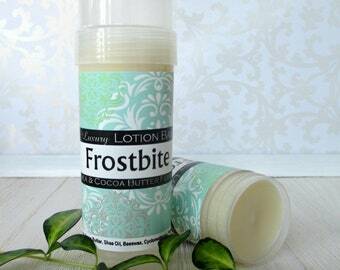 And you can find my products at www.coquettebath.com. Handmade bath, body, home fragrance...the very best that I can make out of the very best ingredients that I can source. All with an eye to color, scent and fun. That's Coquette Bath & Home™. CoquetteBath here on Etsy! I envision my products to be flirty, fun and happy. Playful, fresh and lively. Never boring or dull! While my products are definitely 'girl-centric' I do have a lot of male customers who enjoy my top quality and selection. Many of my products are vegan. The only animal based product that I use is beeswax (lip balm and lotion bars only). I welcome special orders for significant events in your life. And if you own a retail gift store, spa, hotel etc, wholesale terms are available. Please convo me for more information. Note: I do not wholesale outside of the United States. Blistering hot weather isn't kind to people or handmade products. If you live in a hot part of the country, please bring your package 'in' and let it sit in the coolness for a time before opening. Following this simple idea, your products will have time to settle down and cool, but for the very best, always get your packages inside as soon as possible after delivery. Check out my other shop, CoquetteHome, for fun, useful and helpful items. From coasters to magnets, gift cards, microwave warming pads and more. I like things that are beautiful but also things that are needful. All made by me in Fort Worth, TX, USA. Due to hygiene concerns, I don't accept returns for unwanted product. Please ask me any questions about anything prior to ordering. I do have some samples available (in some products) to give you a better sense of the product before purchasing a larger size. Samples are not always available, but when they are, I will list them. Scent is personal and not every scent will be a home run for every customer. However, while I'll gladly take a return on 'not loved' scents, return shipping cost is not refunded. See Refunds & Exchange details below for more on this topic. Due to sanitary reasons, I do not accept returns. Any item returned cannot be resold so if you did purchase something that you don't adore (scent wise) please let me know and I'll ship out your next order freight free. Change your mind? I will absolutely cancel any order without penalty (unless I've already shipped, of course). You can also modify an order (exchanging one scent for another, or even to updating products wanted). I will combine multiple orders, and provide you a refund for overpaid shipping, as well. I do ship fast, so please notify me as quickly as possible! Also, if your order includes anything custom done (such as a label or scent/design) please know that I won't be able to cancel or change any order once I've begun making it. As mentioned, I don't accept returns under normal situations...BUT...if a product arrives damaged or defective, then your happiness is my total concern. If a product fails to perform (a twist up won't twist up, etc), just let me know. I may require you to return it to me for quality review (note, return postage is your responsibility) but in most cases, a photo will be sufficient. As I rarely have a situation like this, just drop me a note and depending on the situation, we'll figure it out. My products are scented. For wax products, I try to make them as strong as possible but keep in mind that some scents are (by nature) lighter than others. So a strong rose scent will never overwhelm a strong lavender (for example). For my blends (many of which are my unique creation), I do my very best to thoroughly describe all of the component notes. Scent is very personal, and there are times when you don't love a scent...and if that happens, I do need you to return the unwanted product in original condition. I will then refund you the cost of the product, or ship you out another scent (of your choosing) without additional payment. Many of my products are sensitive to heat, so please handle all shipments, during the hotter months, with care. While I wrap securely, the heat inside a delivery vehicle can soften or melt your products. When you receive a package from me, please allow to rest for a minimum of 2 hours before opening in the coolness of your home. I accept both PayPal and Etsy Payments. Even if you don't have a PayPal account, you can use your credit card, there. Etsy Payments is a credit card processor. Please choose whatever works best for you. I don't accept money orders or checks. From time to time, I also participate in Etsy wide sales as well as run my own deals/provide coupon codes. Please be advised that you may only choose to use or receive 1 deal with your order. That is, if your chosen item includes shipping, no further discounts (%) will be honored. Likewise, if you receive a discount on your order, using a code for free shipping will likely result in order cancellation. There are definitely gray areas here, and I have authorized people to use both, before, depending on the size of the order and their history purchasing from me. If you have any questions, please let me know and thanks! I ship USPS for the vast majority of shipments. If you order a large quantity of candles, however, I may ship those UPS to reduce the shipping cost for you. Please make sure that your address is correct prior to finalizing your order. I ship to the address you provide, and if the wrong address is provided (old address not updated, etc) I will not reship. If an order is returned to me, I will refund the merchandise value only (not shipping). If you wish your order to go elsewhere, it is always suggested that you put this other address into your profile and choose that when checking out. Using another method for changing the shipping address is acceptable, but...I'm human and as I purchase postage via an upload, any updates have to be done manually and in busy times of year could potentially be overlooked. My goal is your happiness. Normally, I ship out orders every 2-4 days, depending on volume. My shop is configured to provide only US shipping. While I no longer offer international shipping in my shop, that doesn't include my northern neighbors in Canada. A custom listing will be required, but I'm happy to set it up for you! If you are a blogger, or media outlet, and are interested in products to review, please contact me. Wholesale terms will apply for a very small quantity. Sorry, but I do not provide free samples except in rare cases. I do maintain liability insurance as do all reputable professional soapers. If my policies did not answer your questions, please drop me a line. Thanks again for your interest! You can also find me at my main website, at www.coquettebath.com. And, I also sell on the Amazon Handmade platform.